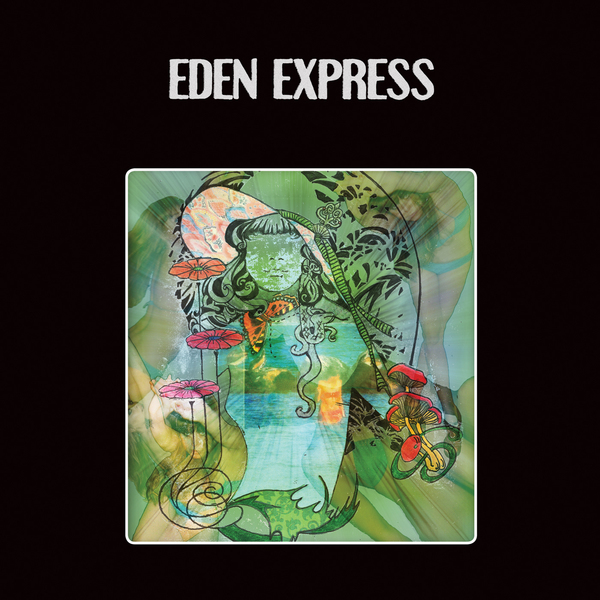 A trio formed by Kip Uhlhorn of Cloudland Canyon with Kelly Uhlhorn and John David Lovelace, Eden Express specialise in a particularly sun-kissed strain of psych-folk, laying down summery far-out-ness on the blissful 'Loneliest Person' and gauzy retro sounds on 'Ocean Samba', which sounds rather like one of Devendra Banhart's tropicalia jaunts from his last album. The breezy nylon acoustics, sitars and hand-played percussion of 'Kaleidoscope' have a real late-sixties sound, made that little bit weirder thanks to Kelly Uhlhorn's tremolo processed vocals. Further compounding the summery psychedelics, you'll hear flutes and mellotron fleshing out the band's sound on 'Bushels Of Briar', sounding tremendously effective and, thanks to the reverberant, old fashioned production style, is coloured by an evocatively anachronistic hue. Highly recommended.